Winter is solidly in control in mid-December across the North American corn belt. Safely tucked away are the huge crops that came out of American fields this past year. Cold weather is impacting the movement of grain, but of course that is fickle at the best of times. The grain markets continue to be weighed down from the record crops that came out of these now frozen fields. Soon, everybody will be looking ahead even though the weight of these bumper crops continues to impact the grain markets into 2017. 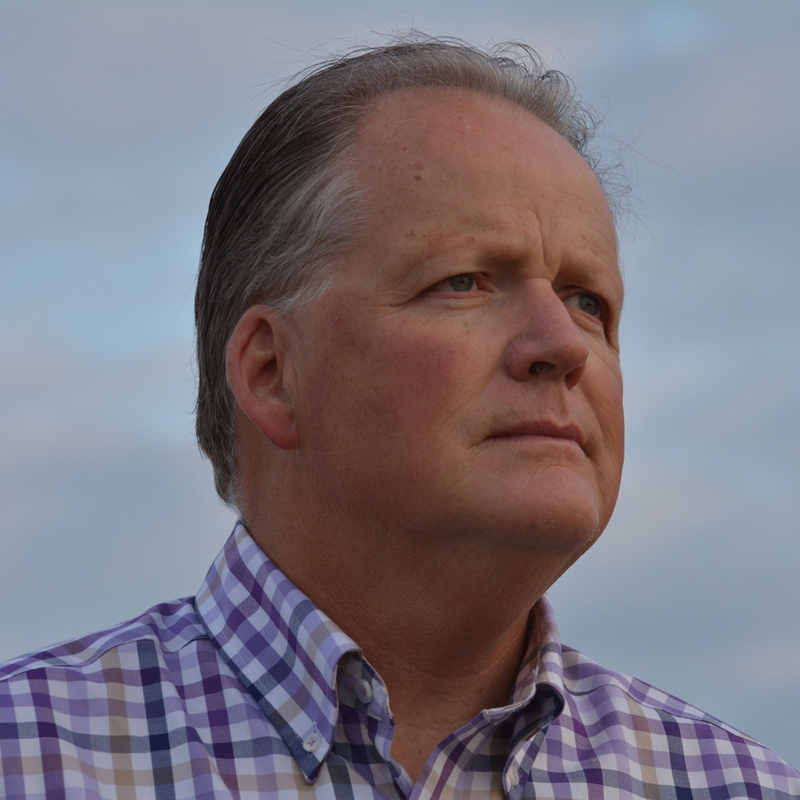 The December USDA report is usually not a major flashpoint in the grain-marketing year. Sandwiched between the November report and the final USDA report in January it is usually not big news. This was the case on Friday, December 9th. The USDA did not change any production levels and kept US corn, soybeans and wheat stocks and use constant from their November report. The only difference from the November USDA WASDE reports were global production and ending stocks of all three of the major grains came in above pre-report estimates. For instance, global corn production for 2016 in 2017 was increased by 9 MMT, to 1.039 MMT, which is a record. There were increases in Brazilian and Chinese corn in this estimate. The global soybean production was also increased 1.91 MMT to 338 MMT and wheat production was raised by 6.54 MMT to 751.26 MMT, driven by increases in Australian production and a bit less so in Brazil and European production. On December 16th, corn, soybeans, and wheat futures were higher than the last market trends report. March corn 2017 futures were at $3.56 a bushel. The January 2017 soybean futures were at $10.36 a bushel. The March 2017 Chicago wheat futures closed at $4.09 a bushel. The Minneapolis March 2017 wheat futures closed at $5.37 a bushel with the September 2017 contract closing at $5.45 a bushel. The nearby oil futures as of December 16th closed at $51.90/barrel down from the nearby futures of last month of $43.21/barrel. The average price for ethanol on December 16th in the US was $1.99 a US gallon up from last month at $1.80 a US gallon. The Canadian dollar noon rate on December 16th was .7497 US up slightly from the .7421 US reported here last month. The Bank of Canada's lending rate remained at 0.50. In Ontario most of the corn crop has been harvested as of December 16th. However, there are some acres left to be harvested as winter has set in. Snow across the province will make it a challenge to get some of these fields off. Generally, this past fall has been a good one for harvest conditions. There is some localized Vomitoxin in western Ontario like there always is and it will be managed accordingly. The dominant feature within the Ontario harvest was the much better than expected harvest results. The latest Ontario corn yield from OMAFRA is pegged at 167 bu/acre, remarkable after the dryness of last summer. 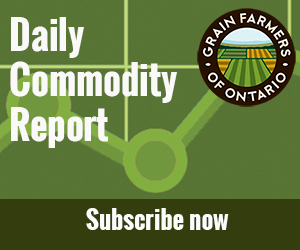 Earlier in the year dry conditions had led to the widespread expectation that the Ontario corn crop would be less than usual. This was partly responsible for the higher basis levels seen last summer. Ontario was importing corn. However, harvest results were much better than expected and the corn basis has softened into the fall especially west of Toronto. There are still areas of corn deficit like in the Niagara area, where the crop was less than expected. However, basis has softened approximately $.40 since late September. In Eastern Ontario it has not softened as much with plus $1 elevator bids still apparent. Old crop corn basis levels are $.55 to $1.20 over the March 2017 corn futures on December 16th across the province. The new crop (2017) corn basis varied from .75 to $1.12 over the December 2017 corn futures. The old crop basis levels for soybeans range from $2.60 cents to $2.75 over the January 2017 futures. New crop soybeans (2017) range from $2.55-$2.69 over the November 2017 futures level. The GFO cash wheat prices for delivery to a terminal on December 16th was $4.73 for SWW, $4.64 for HRW, $4.79 for SRW and $5.99 for Red Spring Wheat. On December 16th the US replacement price for corn was $5.29/bushel. You can access all of these Ontario grain prices by viewing the marketing section. It has been a great year for crops and as we close 2016 the story in the grain markets is about big supply. These big supplies of course have been weighing on our grain prices and it will continue into 2017. The one caveat of course has been soybeans, despite the record crop in the United States; they continue to be trading on the futures market approximately a $1.80 higher than a year ago. In many ways this is a reflection of huge demand, something that we have in all the grains. The big crop in the United States is keeping corn prices flat as we await what is happening in South America. As of mid-December it has been dry and Argentina, not so much in Brazil. Essentially, it is June in South America and weather can still play a big impact on the corn crop. In the meantime US exports will remain strong. This advantage will be lost to some extent if the rains come and the South Americans have a normal crop. Soybeans are somewhat similar to corn waiting for the South American crop, but they have defied their own record crop fundamentals. Great demand for soybeans into China continue to help soybean prices at a time where there is captive American supply, while the new crop in South America develops. Any nuance in South American weather along the way will cause price futures price jitters. The US dollar has been on fire especially since the night of the Presidential election. Call it the Trump rally. Needless to say, the US dollar as of mid-December is at 102.95 on the index, the highest in approximately 12 years. This acts as a brake on agricultural commodity demand as they cost more in foreign currencies. It's especially difficult on wheat demand as that is grown in so many different countries. Never underestimate the power of cheap. That is exactly what US corn is right now, currently at approximately $.65 cheaper at the Gulf then Brazilian ports. Of course this will change eventually when the Brazilian crop is harvested. At least that is the worry, as the South American corn crop adds to bearish concerns on US corn prices. Exports for corn have been strong. There is also been an increased pace to ethanol production. These factors help corn from dipping below the sideways range. However, the USDA report did mention increase worldwide stocks for corn based on increases in production in South America and China. The March 2017 May 2017 corn futures spread is -.0675 cents as of December 16th. This is considered neutral. The March contract is currently priced in the lower 6% of the last five-year price distribution range. Seasonally old crop futures tend to trade higher through late December. The elephant in the room for soybeans in the upcoming year is 2017 acres. As it stands now there is talk of 90 million soybeans acres partly garnered through reduced corn acres and reduced cotton acres. Needless to say, that is simply talk as we are still dealing with a record soybean crop coming out of the fields. Soybeans have been a bit of a star compared to corn and wheat. Soybean futures prices are trading near their five-month highs even amid all the bearish news. A recent Brazilian private report pegged their production at 106.1 MMT, up from the USDA estimate of 102 MMT. US exports have been strong, with Gulf prices better than Brazil ports. The South American crop is still not made. Wheat remains bearish although the spring wheat has shown a bit of life lately in the futures market. Good protein has a market. Cold weather in both Russia and the United States may be impacting the crop. Eventually, production will be impacted in wheat and prices will move higher. Time will tell. In Ontario the wheat is under snow cover hoping for the light of day at the end of the winter. Of course, winter weather will play a big role in final acres of winter wheat in 2017. Essex County, a traditional wheat growing area suffered wet conditions this past fall, impacting the number of acres planted there. What cannot be discounted as we go into 2017 is the effect of the Trump presidency post January 20th. In the run-up to the election Mr. Trump was very hard on China calling it a currency manipulator partly because of its trade deficit with United States. Since the election the rhetoric from the President-elect and China has increased and has created a certain amount of nervousness within the soybean market. Canceled soybean orders may be one vehicle for the Chinese if tariffs are applied post January 20th as the President-elect promised during the election campaign. The Trump rally in the US dollar is acting as a brake on commodity demand, but it also made weak the Canadian dollar, which has dropped back to under 75 cents in mid December. It briefly flirted over $.76 on the realization of OPEC signing a new agreement. However, the Canadian dollar generally moves in an inverse fashion to the value of the US dollar and it will be no different as we go into 2017. The challenge for Ontario farmers is to sell our crops where we are comfortable and profitable with both the value of the Canadian dollar (re basis) and a healthy futures price level. Subsidies from the Ontario Ethanol Growth Fund finally end on December 31, 2016. The administration of the program winds up at the end of March in 2017. It was a very successful agricultural policy as it helped build and sustain several ethanol plants across the province. Now that the subsidy has ended, these plants should be able to compete and grow keeping that value added here in Ontario. This policy now ending changed the industrial market for corn in Ontario. Where once there was none, now approximately 35% of Ontario corn goes into ethanol. 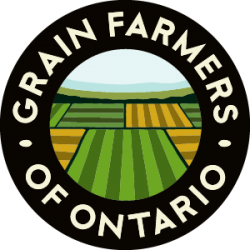 The market focus for farmers across Ontario is the upcoming “Final” USDA report to be released January 12th 2017. There are always futures price “fireworks” in the January report and the 2017 report will likely be no different. Will this huge crop get bigger? It may, but regardless its important to be hedged either way. Daily market intelligence remains key. Standing orders are always good. The Canadian and US dollar don't take any days off. Market where you are profitable and comfortable. As we go into 2017, there will be many marketing opportunities ahead.